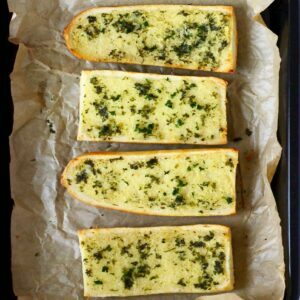 This Vegan Garlic Bread is crispy and crunchy, fragrant and seriously moreish! It’s super easy to make and perfect for sharing! 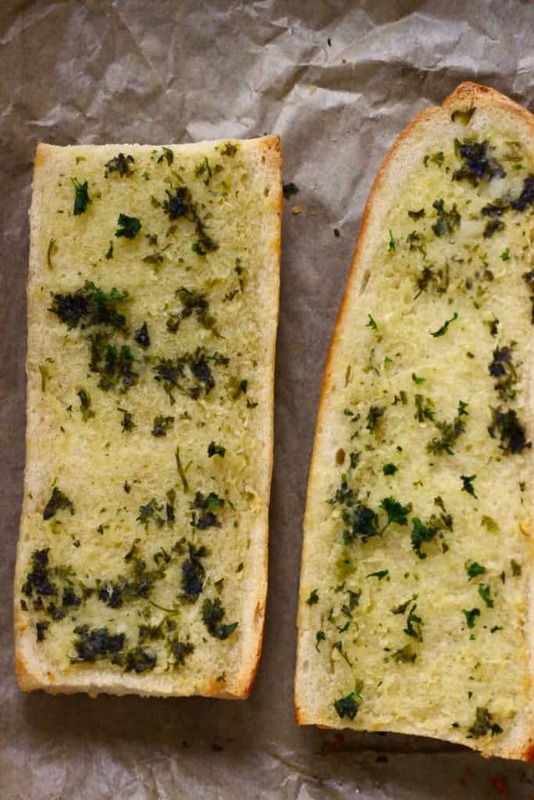 What type of bread should you use to make Garlic Bread? 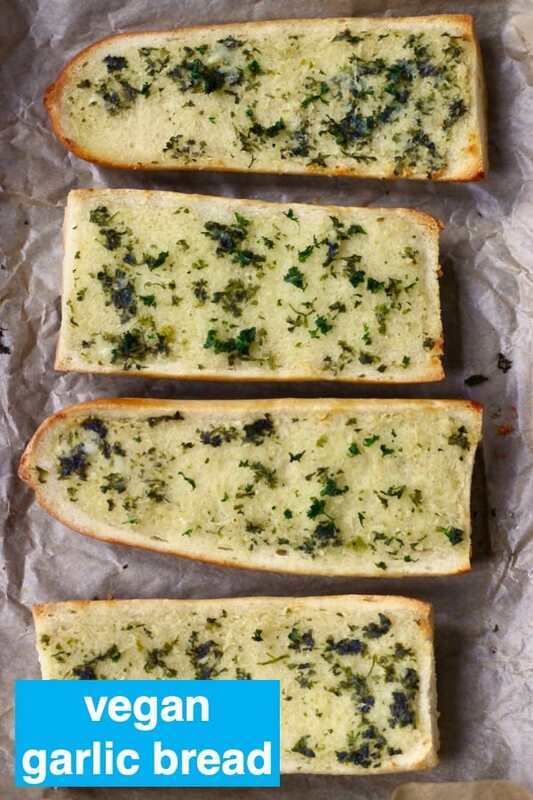 Garlic Bread is usually made using a baguette, or some other bread that has a hard crust and soft interior. 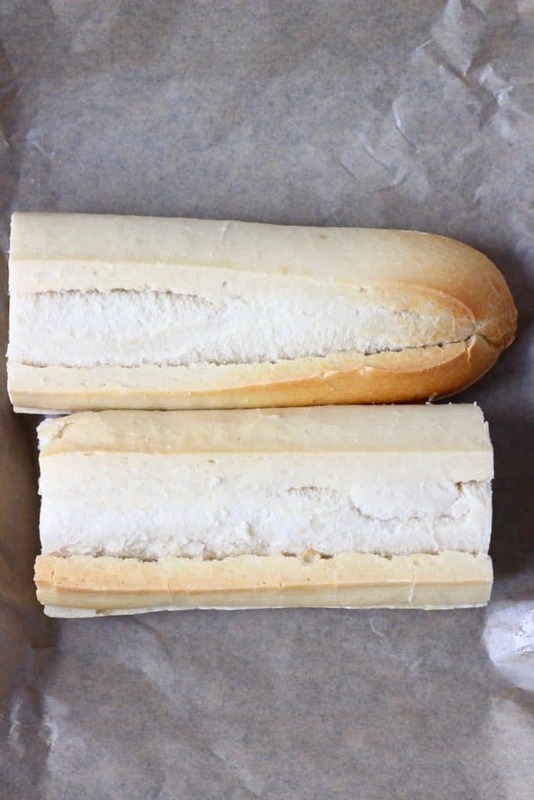 You should be able to get hold of gluten-free baguettes at your local supermarket if necessary. Alternatively, you can use a homemade bread – I tried this recipe using my Chickpea Flour Bread, which turned out well. 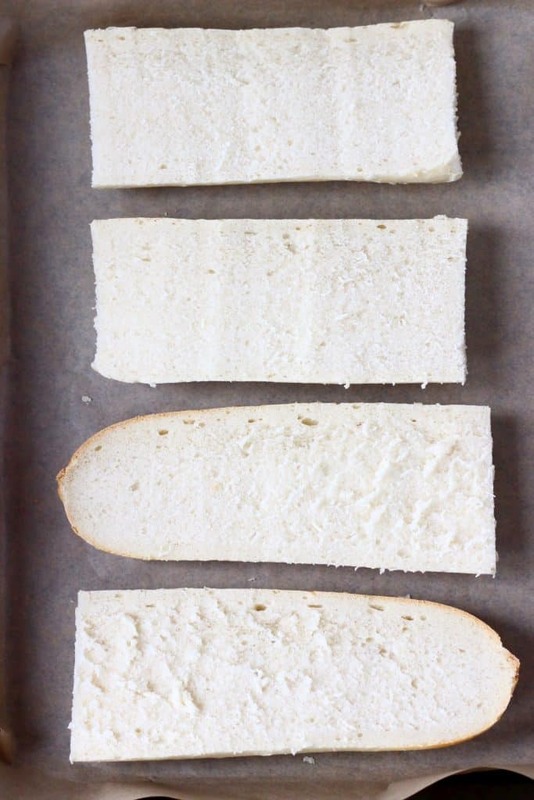 Slice the bread in half both horizontally and vertically. 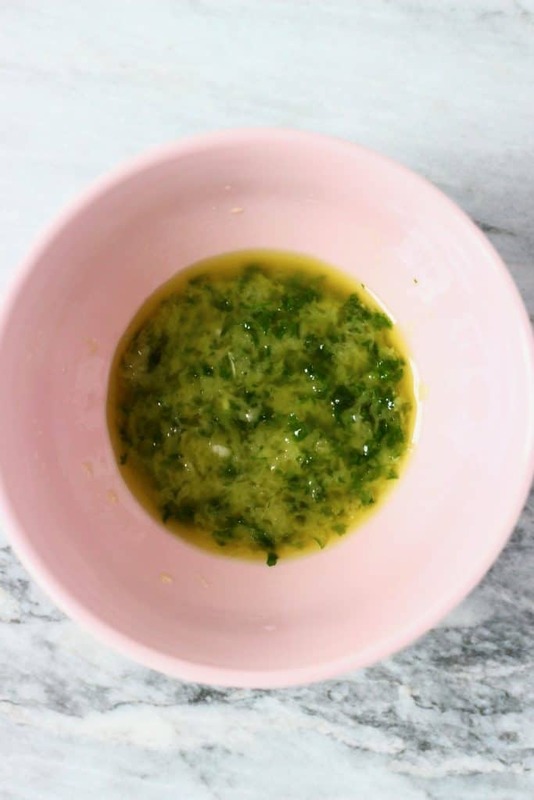 Mix together the olive oil, garlic, parsley and salt in a small bowl. rectangular baking tray and use a spoon or a pastry brush to brush the oil mixture on top of the bread. 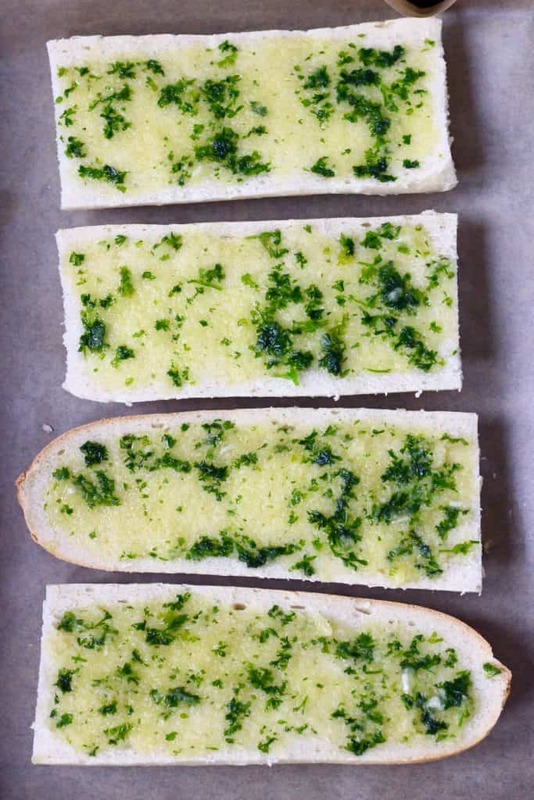 Tip: Make sure to go right to the edges of the bread. Place the pieces of bread together with the oil-covered sides stuck together. 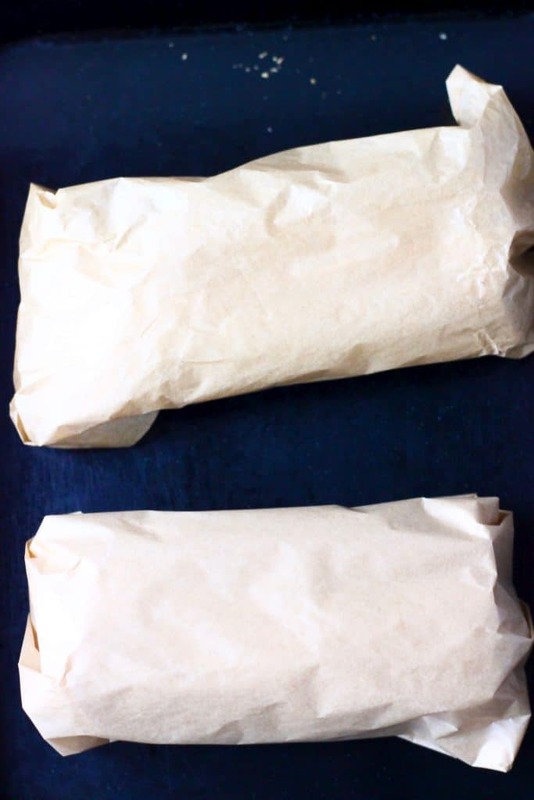 Tip: Make sure to wrap each pair individually so that the outer edges can get nice and crunchy. Bake for around 20 minutes until fragrant and the crusts are crunchy. Thank you so much! 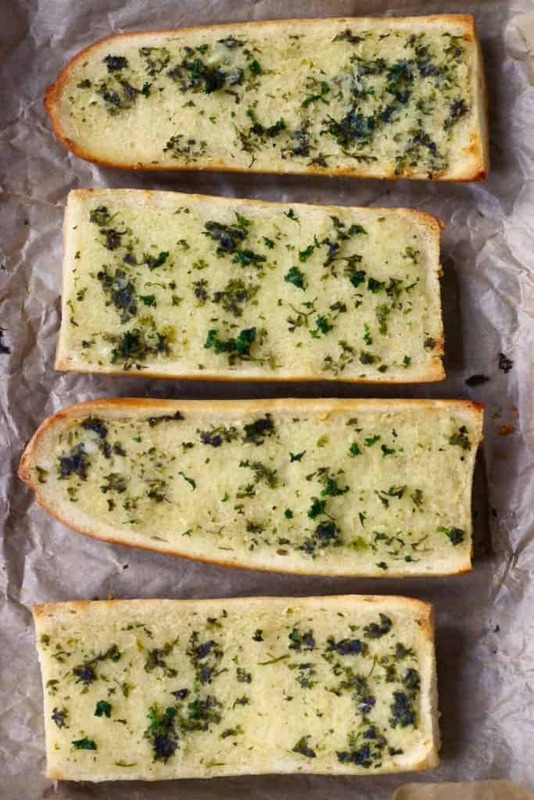 Yes who doesn’t love garlic bread! !